Want to find the latest information and news happening at Learn English Have Fun? Welcome! You've found the right place. This blog will keep you up-to-date on all of the additions to the website. Thanks so much for visiting! This list of L idioms includes many frequently used idiomatic expressions in American English. You'll find idioms from other letters of the alphabet here too! Continue reading "List of L idioms"
Learn the idiom " take leave" with lots of examples. You'll find many other important idioms here with pictures and infographics to make learning easy and fun. Continue reading "Idiom: Take leave (meaning & examples)"
Learn the idiom " leave something to be desired" with lots of examples. You'll find other important idioms here with pictures to make learning easy and fun. Continue reading "Idiom: Leave something to be desired (meaning & examples)"
Learn the meaning of the idiom "leave out" with lots of examples. You'll find many important idioms here with pictures to make learning easy and fun. Continue reading "Idiom: Leave out (meaning & examples)"
Learn the idiom "lean over backwards" with lots of examples. You'll find other important idioms here with pictures to make learning easy and fun. Continue reading "Idiom: Lean over backwards (meaning & examples)"
Learn the meaning of the idiom " leave something open" with lots of examples. You'll find many other idioms here with pictures to make learning easy and fun. Continue reading "Idiom: Leave something open (meaning & examples)"
Learn the meaning of the idiom " leave it at that" with examples. You'll find other idioms here with pictures and infographics to make learning easy and fun. Continue reading "Idiom: Leave it at that (meaning & examples)"
Learn the meaning of the idiom " leave someone high and dry" with lots of examples. You'll find many idioms here with pictures to make learning easy and fun. Continue reading "Idiom: Leave someone high and dry (meaning & examples)"
Learn the meaning of the idiom " leave someone hanging" with lots of examples. 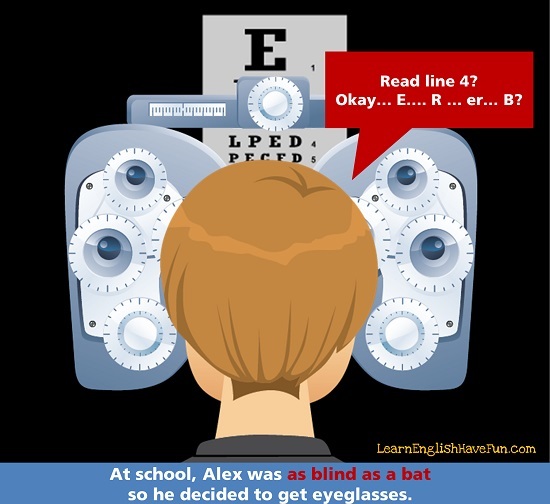 You'll find many idioms here with pictures to make learning easy and fun. Continue reading "Idiom: Leave someone hanging (meaning & examples)"
Learn the meaning of the idiom " leave something alone" with lots of examples. You'll find other important idioms here with pictures and infographics. Continue reading "Idiom: Leave something alone (meaning & examples)"
Learn the idiom " leave someone alone" with lots of examples. You'll find many other idioms here with pictures and infographics to make learning easy and fun. Continue reading "Idiom: Leave someone alone (meaning & examples)"
Learn the meaning of the idiom "the least you can do" with lots of examples. You'll find many other important idioms here as well. 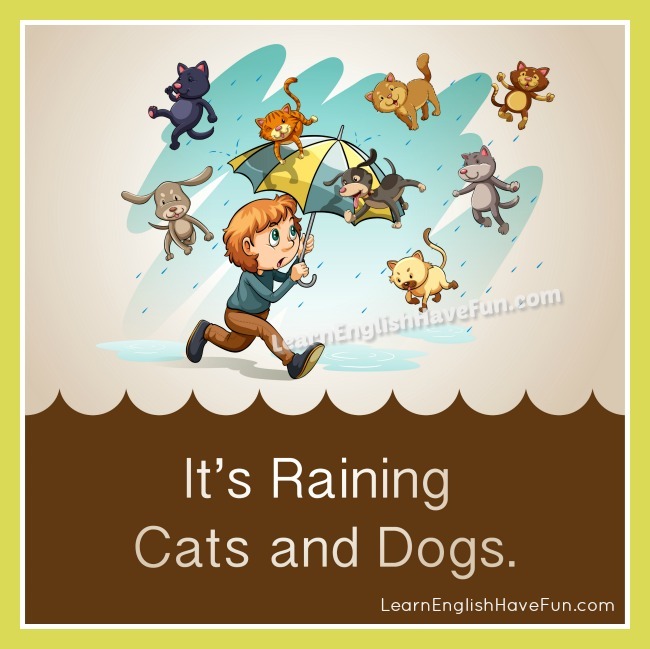 Continue reading "Idiom: The least you can do (meaning & examples)"
Learn the meaning of 'raining cats and dogs' and other idioms with fun pictures and lots of example sentences. It's fun and easy! Continue reading "Raining Cats and Dogs Idiom"
Learn the idiom " not in the least" with lots of examples. You'll find many other idioms here with pictures and infographics to make learning easy and fun. Continue reading "Idiom: Not in the least (meaning & examples)"
Learn the idiom "at least" with lots of examples. You'll find many other important idioms here with pictures and infographics to make learning easy and fun. Continue reading "Idiom: At least (meaning & examples)"
Learn the idiom "keep someone on a tight leash" with lots of examples. You'll find other important idioms here that will help your English sound more natural. Continue reading "Idiom: Keep someone on a tight leash (meaning & examples)"
Learn the idiom "apple of someone's eye" with lots of examples and a chance to practice. You'll find many other important idioms here with pictures and infographics to make learning easy and fun. Continue reading "Idiom: Apple of someone's eye (meaning and examples)"
Learn the meaning of the idiom wake up and smell the coffee with lots of sentence examples to help you easily remember the meaning. It's fun and free. 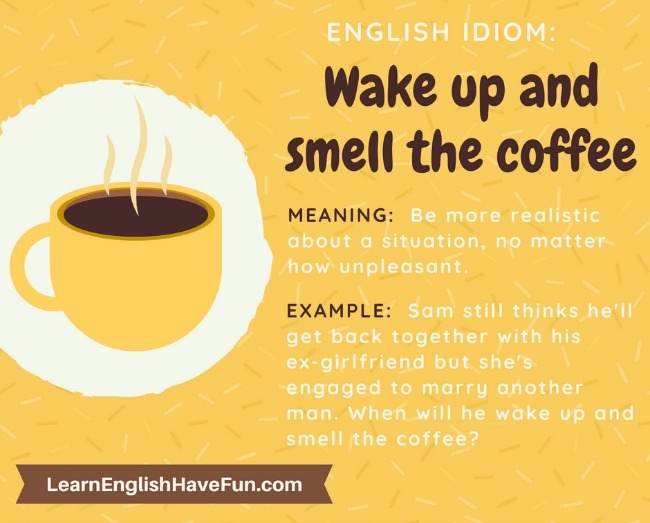 Continue reading "Idiom wake up and smell the coffee: Meaning and sentence examples"
Learn the meaning of 'head in the sand' and other idioms with fun pictures and lots of example sentences. It's fun and easy! 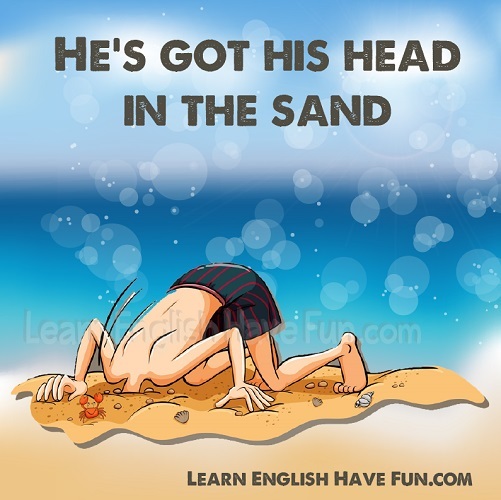 Continue reading "Head in the sand idiom (meaning and examples)"
Learn the idiom "blind as a bat" with lots of examples. 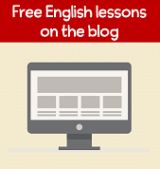 You'll find many idioms here with pictures and infographics to make learning easy and fun. Continue reading "Idiom: Blind as a bat (meaning and examples)"
Learn the meaning of the idiom "by leaps and bounds" with lots of examples. You'll find many other important idioms here with pictures to make learning easy. Continue reading "Idiom: By leaps and bounds (meaning & examples)"
Learn the idiom "lean on someone" with lots of examples. 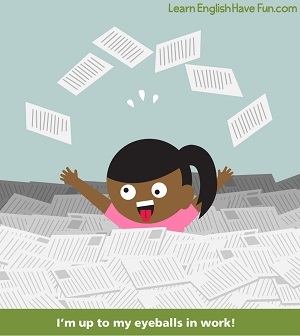 You'll find many idioms here with pictures and infographics to make learning easy and fun. Continue reading "Idiom: Lean on someone (meaning & examples)"
Learn the idiom "a new lease on life" with lots of examples. You'll find many other idioms here with pictures and infographics to make learning easy and fun. Continue reading "Idiom: A new lease on life (meaning & examples)"
Learn the idiom "a means to an end" with lots of examples. You'll find many other idioms here with pictures and infographics to make learning easy and fun. Continue reading "Idiom: A means to an end (meaning & examples)"
Learn the idiom "a matter of time" with lots of examples and a chance to practice. You'll find many other idioms here with pictures to make learning easier. Continue reading "Idiom: A matter of time (meaning & examples)"
Learn the idiom "a matter of life and death" with lots of examples. You'll find many other important idioms here with pictures to make learning easy and fun. Continue reading "Idiom: A matter of life and death (meaning & examples)"
A cool learn English video featuring Brazilian babe Gisele Bundchen, who explains how she learned English on the streets of New York when she just arrived in the city at 16 years old. Continue reading "Learn English video featuring supermodel Gisele Bundchen"
Learn the meaning of 'beat the pants off' and other idioms with fun pictures and lots of example sentences. It's fun and easy! 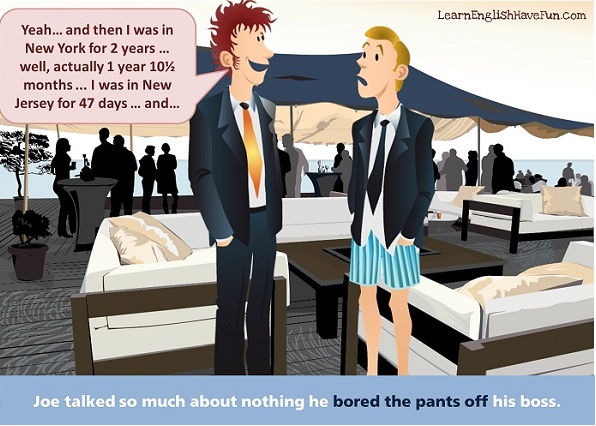 Continue reading "Beat the Pants Off Idiom"
Learn the meaning of 'bore the pants off' and other idioms with fun pictures and lots of example sentences. It's fun and easy! 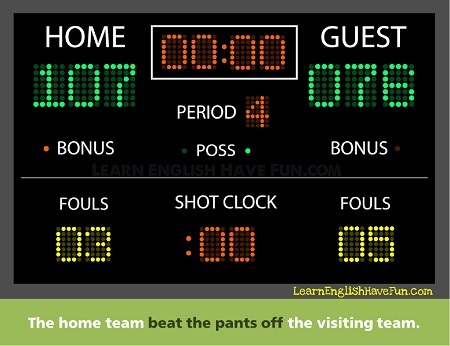 Continue reading "Bore the Pants Off Idiom"
Learn the idiom "a matter of doing something" with lots of examples. You'll find many other important idioms here with pictures to make learning easy and fun. Continue reading "Idiom: A matter of doing something (meaning & examples)"
Learn the meaning of the idiom "a marriage made in heaven" with lots of examples. There are many other idioms here with pictures to make learning easy and fun. Continue reading "Idiom: A marriage made in heaven (meaning & examples)"
Learn the idiom "a man of his word" with lots of examples. You'll find many other idioms here with pictures and infographics to make learning easy and fun. Continue reading "Idiom: A man of his word (meaning & examples)"
Learn the idiom "a man of few words" with examples. You'll find many other important idioms here with pictures and infographics to make learning easy and fun. Continue reading "Idiom: A man of few words (meaning & examples)"
Learn the idiom "a king’s ransom" with lots of examples. You'll find many other important idioms here with pictures to make learning easy and fun. Continue reading "Idiom: A king’s ransom (meaning & examples)"
Learn the idiom "a kick in the pants" with lots of examples. You'll find many other idioms here with pictures and infographics to make learning easy and fun. Continue reading "Idiom: A kick in the pants (meaning & examples)"
Learn the meaning of the idiom "a fly on the wall" with lots of examples. You'll find other idioms here with pictures to make learning easy and fun. Continue reading "Idiom: A fly on the wall (meaning & examples)"
Learn the idiom "a change of pace" with lots of examples. You'll find many other idioms here with pictures and infographics to make learning easy and fun. Continue reading "Idiom: A change of pace (meaning & examples)"
Learn the idiom "out of one’s league" with lots of examples. You'll find many other idioms here with pictures and infographics to make learning easy and fun. Continue reading "Idiom: Out of one’s league (meaning & examples)"
Learn the idiom "in the same league" with lots of examples. You'll find many other idioms here with pictures and infographics to make learning easy and fun. Continue reading "Idiom: In the same league (meaning & examples)"
Learn the meaning of the idiom "against the odds" with lots of examples and a chance to practice. You'll find many other idioms with pictures and infographics. Continue reading "Idiom: Against the odds (meaning & examples)"
Learn the idiom "turn over a new leaf" with lots of examples and a chance to practice. You'll find many other important idioms here with pictures and infographics to make learning easy and fun. Continue reading "Idiom: Turn over a new leaf (meaning & examples)"
Learn the idiom "take a leaf out of someone’s book" with lots of examples and a chance to practice. You'll find many other important idioms here with pictures and infographics to make learning easy and fun. Continue reading "Idiom: Take a leaf out of someone’s book (meaning & examples)"
Learn the meaning of the idiom "ahead of schedule" with lots of examples and a chance to practice. You'll find many other important idioms here with pictures and infographics to make learning easy and fun. Continue reading "Idiom: Ahead of schedule (meaning & examples)"
Learn the meaning of the idiom "a hot potato" with sentence examples to help you easily understand and remember this English idiom. There are hundreds of other fun idioms with pictures and infographics here as well. 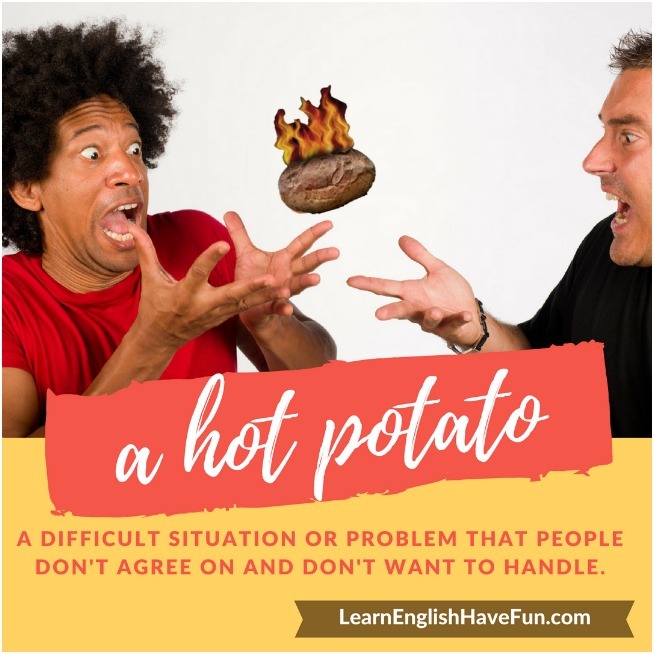 Continue reading "Idiom a hot potato: Meaning and sentence examples"
Learn the idiom "up to one's eyeballs" with lots of examples and a chance to practice. You'll find many other important idioms here with pictures and infographics to make learning easy and fun. 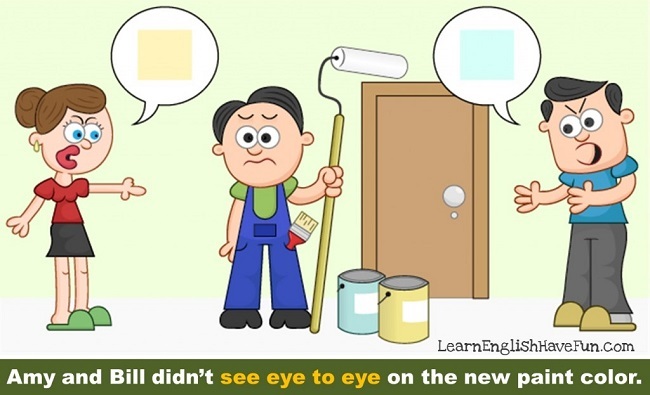 Continue reading "Idiom: Up to one's eyeballs (meaning and examples)"
Learn the idiom "see eye to ey" with lots of examples and a chance to practice. You'll find many other important idioms here with pictures and infographics to make learning easy and fun. Continue reading "Idiom: See eye to eye (meaning and examples)"
Learn the idiom "leaf through something" with lots of examples and a chance to practice. You'll find many other important idioms here with pictures and infographics to make learning easy and fun. Continue reading "Idiom: Leaf through something (meaning & examples)"
Learn the idiom "lead someone on" with lots of examples and a chance to practice. You'll find many other important idioms here with pictures and infographics to make learning easy and fun. Continue reading "Idiom: Lead someone on (meaning & examples)"
Learn the idiom "lead off" with lots of examples and a chance to practice. You'll find many other important idioms here with pictures and infographics to make learning easy and fun. Continue reading "Idiom: Lead off (meaning & examples)"